Methisto: Can You Pass the Acid test? Everyone is concerned about Acid test today. Let's see Can You Pass the Acid Test? poster. Look at symbolism of the poster. Ian's left hand is in buddha's meditative position and his right hand shows FIVE fingers, which is very secter number of Ian's favourite HTML version. It's fake, of course. 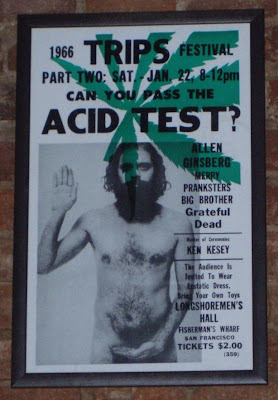 The original Can You Pass the Acid Test? 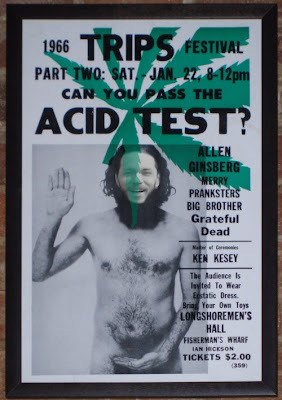 poster with Allen Ginsberg I have found on Saturday in La Fabrica club (Prague, Czech Republic). You can check Wikipedia Acid Tests page to understand what does the phrase Can You Pass The Acid Test? really mean. Thanks David Majda for taking the picture and Petr Krcmar for poster hixification.